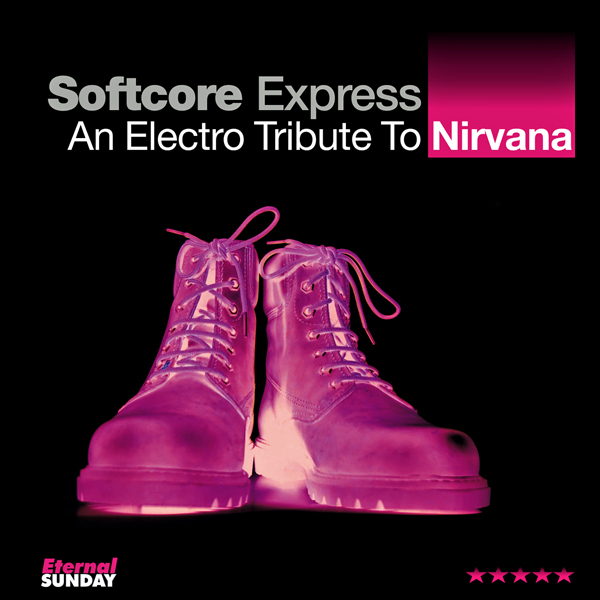 Softcore Express are Eternal Sunday records’ exclusive tribute makers. Their first release is a tribute to indie 90s grunge rockers Nirvana, the band that changed the music of the decade. An Electro Tribute To Nirvana is a 4-tracks EP featuring the greatest hymns written for the band by the immortal Kurt Cobain. As this is an electronic tribute, there are no guitars, making this EP a surprising experience. An Electro Tribute To Nirvana will be for sale worldwide at the most important digitales stores on October 29, 2012. A few days later it’ll be released Softcore Express’ tribute to tango, Electro Tango: La Cumparsita (Single) b/ w “El Choclo”. All songs written by Kurt Cobain. Produced by Softcore Express. Mastering by Emiliano Canal & Michael Etes at the Michael Etes Studio, Buenos Aires, Argentina. Design by Alto Belgrano.